Our resident Dancing Diva, Mrs. K (Kocielko) inspires her students to move and groove through out the day. 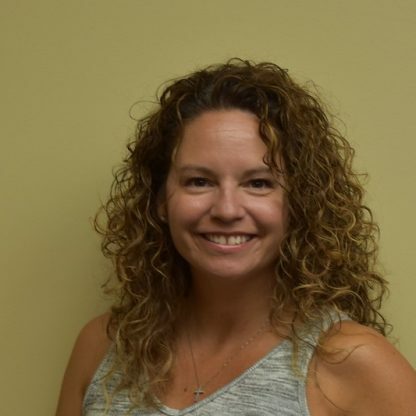 She holds an Associate’s Degree in Early Childhood Education from Joliet Junior College, as well as additional certificates in Child Development and has over ten years of experience teaching young children. From a young age, Mrs. K wanted to be a teacher. After observing a class at Happy Hands, she knew this was a perfect fit for her. She currently lives in Lockport with her husband of 20 years and their son. Mrs. K teaches a 3s class, 4s class, and leads our 4s Enrichment Program.